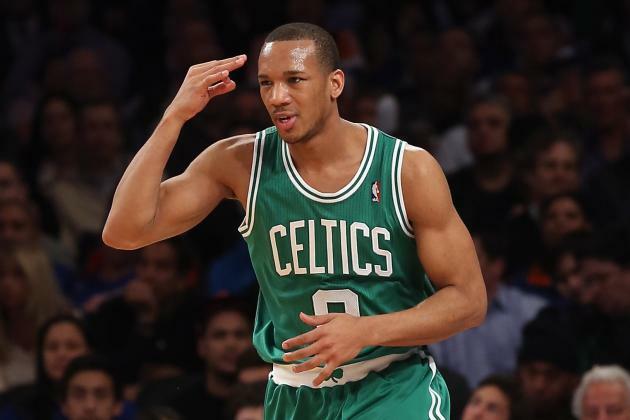 Avery Bradley recently opened up about leaving the Boston Celtics and his future with the Detroit Pistons in a recent interview with Bleacher Report's Gerald Narciso. The general feel of the piece is surprisingly positive and professional, even for the consummate professional that is Bradley. Frankly speaking, I wouldn't have been surprised or offended in the slightest if he seemed a little bitter about leaving a team in many ways he was a quiet, steadying force in for so long. While by no means one of the more flashy players on the team, his grit and focus had long been a crucial component of the Celtics we perhaps grew too attached to in a cut-throat trade. "I knew it would be a hard decision. I was open to it, though. I knew if I didn't sign this summer that it was going to be a possibility that I could be moved because it's beneficial for both parties, you know, for Avery Bradley and the Celtics. At the end of the day, I want to do what's best for me, and they have to do what's best for them. They felt like it would be a better opportunity for me somewhere else to give me a chance to not only continue to grow my game but for me to have an opportunity to take care of my family." " I feel like anything is possible. Where we're able to buy into what Stan [Van Gundy] is trying to do, we have a lot of talent. If we're able to put that all together and everybody buys in, we can have a special year. ... I want to help bring more leadership to help this team and just bring that hard-working mentality to the team ..."
There's a lot more good stuff in there worth checking out, so give it a look if you haven't already - there's even a little on his basketball camp - I am so unsurprised rebounding is emphasized in some of his drills.